When you think of hiking Arizona, you quite often think of extreme temperatures in search of water. However, you’d be quite surprised to discover some secret locations. When the movie Wild came out in theaters last year, it sparked a lot of interest in the Pacific Crest Trail. This trail was instantly more packed and crowded with people. If you’re not up to hike it this year, you can also take a look at some other 300 trails scattered through the state. To be honest, Arizona has a lot of amazing trails. One only needs a short drive outside Flagstaff or Phoenix to experience such natural beauty. We hope you take the time to enjoy hiking in Arizona as much as we did. There are lots of hikes that are amazing in Arizona and they are to be taken seriously. Make sure you bring extra water and snacks. If you’re not an avid hiker, we highly recommend that you be ready. A lot of these hikes are very sparse and there isn’t cellular reception. Make sure you tell a friend where you’re hiking to and research these trails prior to hiking them. Who wouldn’t want to take a look at these breath taking rocks? These rocks are actually called the Heart of Rocks. 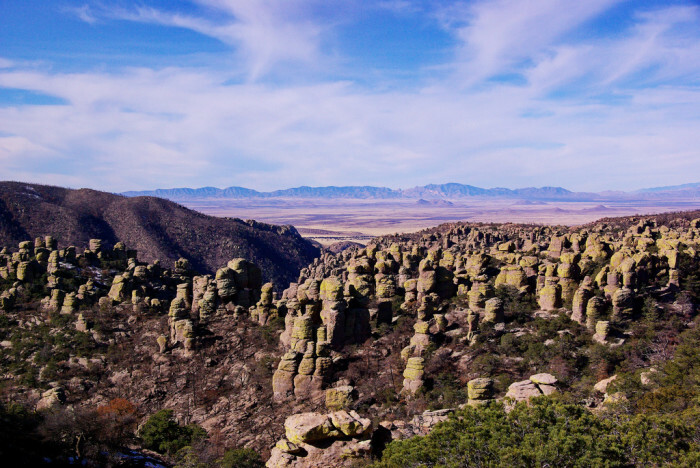 This is a 9.5 mile hike around Chiricahua National Monument and you get an amazing view. This view is out of this world. Those red rocks around the Sedona and surrounding area is a short, steep climb but don’t be fooled, it’s a great leisurely nature walk as well. 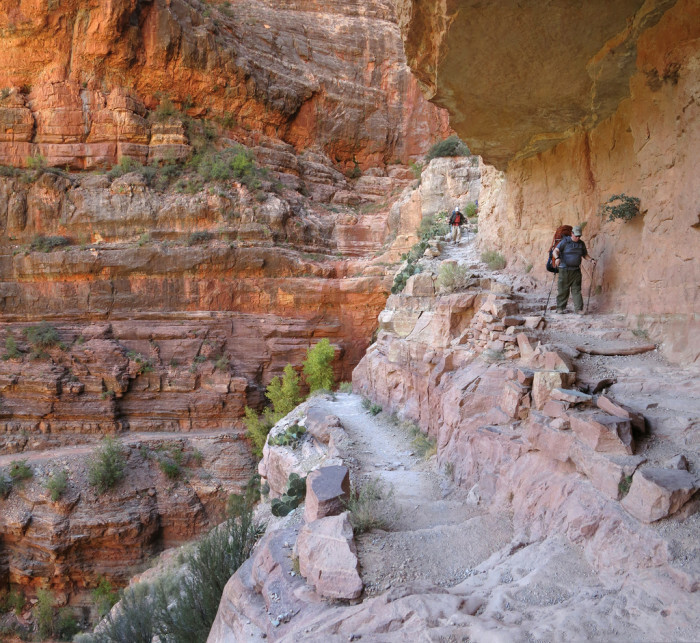 We’ve all heard of the Grand Canyon views but did you know you can hike it too? Be warned though, this trail is absolutely difficult. You will only want to hike this trail if you are an experienced hiker as it’s been associated with a lot of deaths and injuries. Make sure you are well prepared. This trail offers tons of jaw dropping view but if you don’t want to hike down you can always hire a mule! 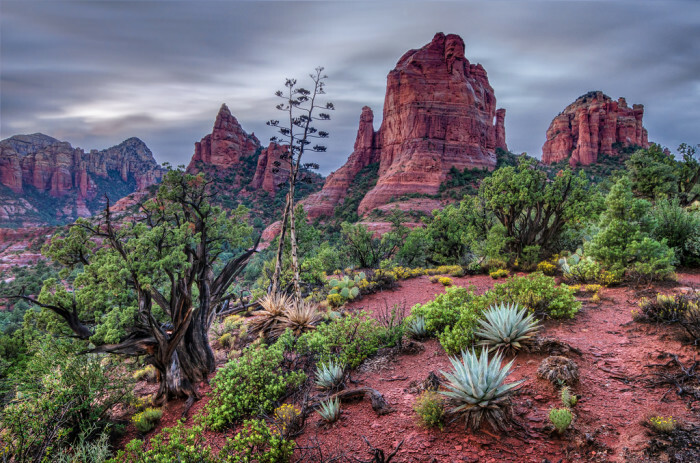 Click the next page to see more stunning Arizona trails!